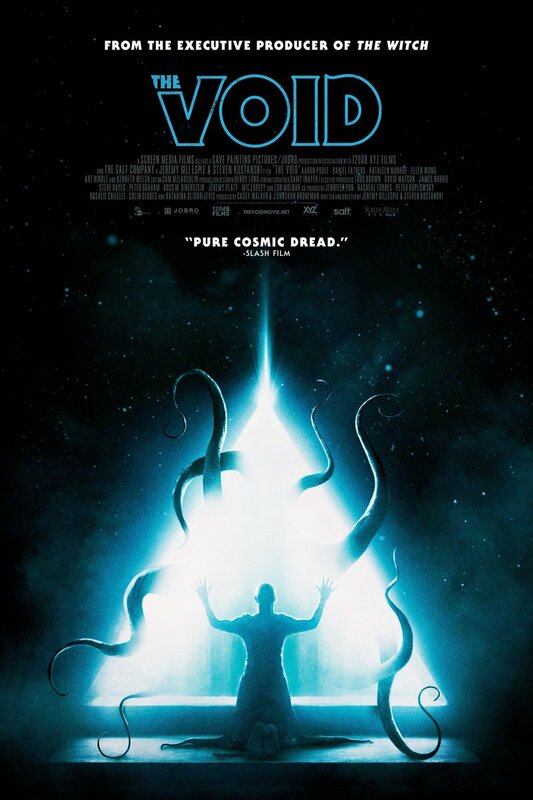 The Void DVD release date was set for May 9, 2017 and available on Digital HD from Amazon Video and iTunes on April 7, 2017. Police officer Daniel Carter brings an injured man to an isolated hospital. When they arrive, one of the nurses goes crazy and kills a patient. When Carter tries to leave so that he can report this crime, several robed cult members attack him. He regroups with the sane patients and nurses and retreats into the basement. As Carter witnesses more violence and discovers odd tentacled creatures, he learns more about the hospital's cult. The leader, Doctor Richard Powell, has made contact with evil beings from another dimension. Carter finds Dr. Powell and confronts him by the portal to the void.